Modahaus Steady Stand Review and 6 Awesome Giveaways! Ever since I bought my compact Modahaus 216 photo set up, I've been delighted with the ease of use and the much better quality jewelry pictures I have been getting. But there is one angle I still have to shoot without a tripod - the overhead one. The resulting photos are not ideal as no matter how steady I try to be, there is always a slight blurring. Trying to get the focusing right with a hand held camera is another issue. Us starving artists sure can't afford the expensive overhead equipment used by professional photographers. And even if we could, we most likely won't have a place to put it all anyway. So when Lex McColl, the Modahaus inventor sent me his latest product, the Steady Stand 200 (the medium size one) for review, I got quite excited. 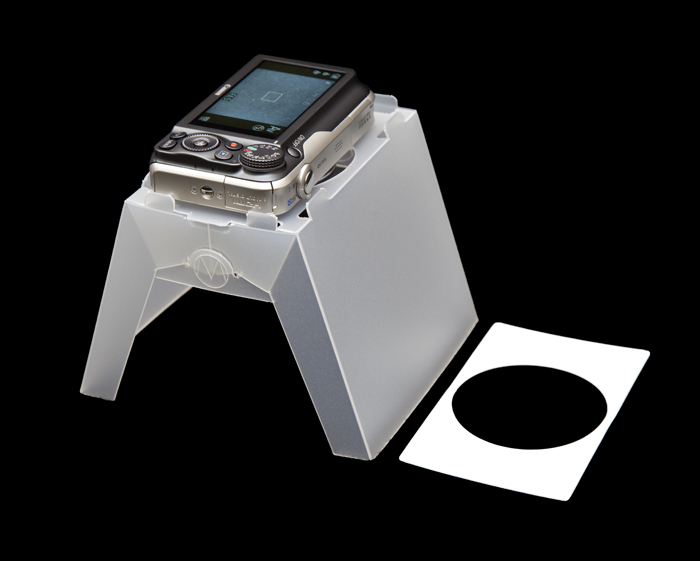 It is a foldable stand with a peephole at the top to allow either smartphones like the iPhone or a regular compact camera to be mounted. It can be used with or without the other setups equipped with infinity backgrounds. The Steady Stand 200 has been a resounding success since it's launch late last year. Check out this promotional video to see it in action including the amazing ability to pan pictures with it. No wonder professional video photographers are all buying it. The Steady Stand comes with several accessories as shown in Lex's picture below. The smaller panels with slits or holes for different cameras. Lex says, "The distance between the platform and the copy board is also the optimum distance for the smartphones and compact cameras." The steady stand comes in a neat package where the outer cover called the Smart Wallet is also put into good use. As you can see Lex is well up on QR codes on products as scanning it takes you to his Steady Stand guide. You do have to crease the folds before assembling. It took me a while to figure out how to place the tabs as it is not clearly shown in the instructions. It helps to place the unit upside down on its side and then slide the side tabs behind the M. The second side took me all of 2 seconds! I was pleased that the steady stand is strong as my compact camera is rather heavier than most. As my camera is red in color, I used the opaque panel B above on the top to block any color effect it might have on my photos. I also had to remove the Modopocket, my tiny mounted camera stand so the camera could lie flat when pointing down into the hole. All my picture taking was done in natural light using the tricks Lex taught us before (see links below). Not having to deal with lights is one less thing to do. I've been so frustrated in the past because I could never get good bird's eye view shots of necklaces such as my wire coiled design below. It's important to show people the whole design and its relative proportions including any extension or charms placed at the clasp end. Thanks to the Steady Stand, I can now! As you can see from the set-up shot below, I also used the cover or Smart Wallet itself. Lex explained in his guide, "When you have a highly reflective subject like metalwork in jewelry, eliminating cluttered, distracting reflections will greatly enhance your photographs. The translucent side walls of the Steady Stand give clean uncluttered reflections and when you position the Steady Stand on top of the Smart Wallet, you can fold up the two large flaps at either end of the wallet so your subject is completely surrounded and all unwanted reflections are eliminated." The Smart Wallet proved very useful in my less than ideal natural lighting situation where the light is mostly coming from a window sheltered by a porch. The flap of the cover does help bounce back more light so I don't get a darker side in the pictures. I also tried rotating the whole thing to see if I could get better lighting. The mug I added to the above picture shows how compact the Steady Stand is. It's small enough to leave as it and store it on a shelf or inside a cupboard. You could also fold it flat for storing or transport. Lex also has this picture below showing a couple of other Steady Stand configurations. 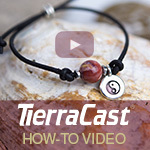 It's from his blog post Product Photography Tips for Crafters and Jewelry Artisans. I tried them both out. The hanging configuration took some patience waiting for the necklace to stop swinging completely! Otherwise, I like how the set up gives me a slight shadow at the bottom for my funky embedded resin pendant. I hung the necklace low down like the one shown above to get this pleasing effect. Below is how Lex does rings as shown in his post mentioned above. I really liked both the Modahaus 216 and the Steady Stand 200 to give me alternative views of jewelry like for my shrink plastic earrings, the former for side views and the latter for overhead views. I previously had so much trouble with the clear shrink plastic as it is difficult, at least for me, to photograph. The picture below was an overhead one with the Steady Stand with the earrings on the card placed on a mug. It is still not perfect but believe me it's loads better than what I got before. Something opaque might be a better idea than the translucent card D I used. I did get a ring like effect from the mug which is not very visible if you set your camera correctly for white backgrounds or use a photo editing program to lighten it. Lex sometimes uses some sort of mirror like surface like for the ring shoot. The overhead shots are very useful if you also sell supplies. These Swarovski components look really lovely when taken from above. However, when I tested out crystals which are not flat like these Swarovski butterflies and hearts, I actually preferred the shot taken from the side. The overhead one did not flatter these crystals. So it depends on the subject which angle you need and your personal preferences. I also appreciated using the Smart Wallet itself as a background for group shots. My 216 is the smallest of the Modahaus infinity curve models and could not accommodate all four bracelets together. You can see the background distortions as I struggled to compose the original group shot in the tutorial post about crochet and chain bracelets. So I experimented by placing one of the colored panels from the 216 on top of the steady stand's cover and viola! Problem solved for all future group jewelry shots! This is what pros like Lex call a "horizon shot". While there is no infinity curve with the Steady Stands, it will still allow you to take good sideways pictures if you don't have the Modahaus 216 like I do. Just use the Smart Wallet. I am not that fond of straight on pictures so I experimented with angling the small card across the corner after propping up the flaps of the Smart Wallet with books on the other side. I didn't use this particular shot but all the pictures except the first one in my recent tutorial post on how to make recycled jewelry from a leather belt were taken on both Modahaus set-ups, the 216 and the Steady Stand 200. 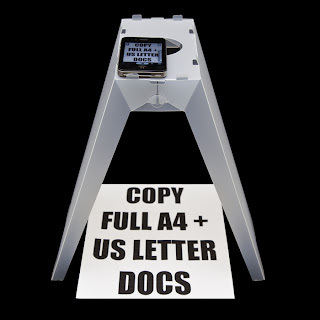 If you need to take pictures of larger things or documents, consider the taller Steady Stand 300. 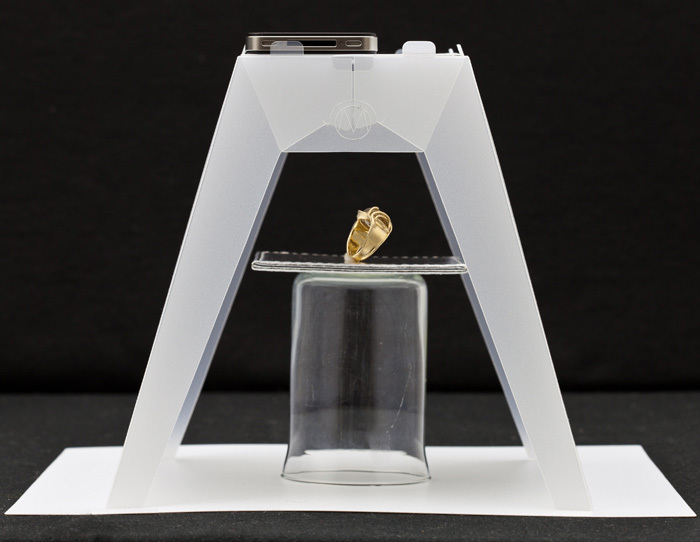 The tiny Steady Stand 100 is the smallest of the 3 and it will definitely suit jewelry artisans as we make small things like earrings! This one saves having to use a mug to raise the earrings and rings. Note that there are 2 types for this size - the SS100SP is for smart phones and the SS100CC is for compact cameras. 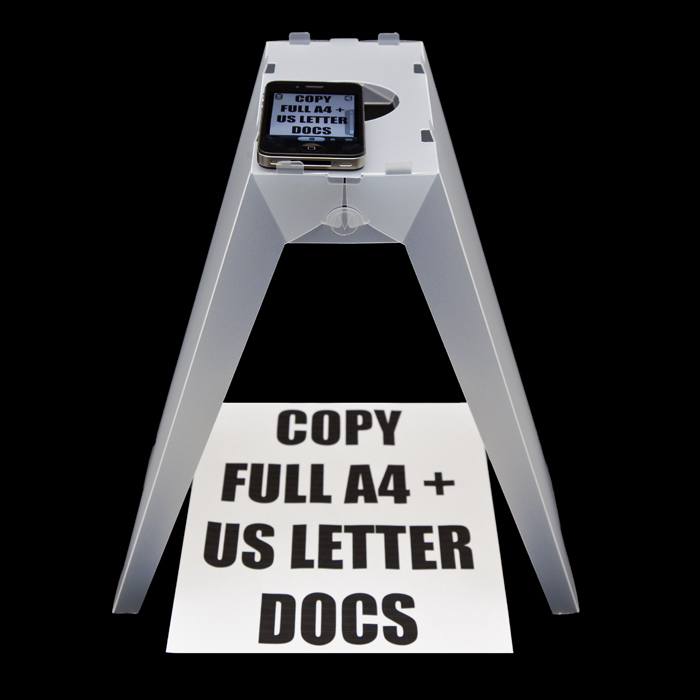 The Steady Stands are available on their own or in a bundle with the other setups for extra savings. Owners of the Modahaus are eligible for a discount if you purchase the Stead Stand. 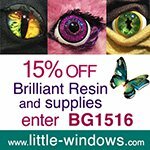 All products now include free shipping as global demand has now picked up for these really innovative products. Extra entries if you become or are a blog subscriber or follower or also on Facebook Fan page or Twitter - even more entries if you do it for not just me but Lex's sites too. If you also publicize this giveaway, those will count as additional entries too! Please say so in the comments. This international giveaway ends in a week's time at 6 pm EST Monday, February 27, 2012. I will pick the winners randomly and announce the results as soon as possible after. So be sure to leave a contact email if you don't have an online link or make sure you come back and check! Good luck! I use the other modahaus..though im not quite sure how all the piecea work would love to try out the new one! Modahaus does it again! I'd love to win the SS200, because I make long necklaces and would need more room to spread them out or hang them. I follow you on facebook and subscribe to your blog as well. Am I really the first one to post a comment? As always, I love reading your blog and always appreciate it when you talk about new gadgets. I already have purchased quite a lot of things to take pictures. My first one was the Modahaus when it just came out. I do not have a stand like the ones you portrayed. I would use it to take pictures of my necklaces and my cookies. If I won, I would like to have the 200 model, that seems to be the best for me. WOW! The answer to my prayers. I would be photographing jewelry with this fantastic tool. My choice would be a Modahaus 200. A good idea!!! I always have trouble taking good photos of my jewelry...I would use this for jewelry photography. The 200 is about the right size for many things I think, that would be my preference. So nice to see every now and then, a really good product become available. I'd love to try one of these - they look so easy to use! I'd love to win the 200 if my name is drawn. I would use the steady stand 300 to photograph my hand painted wineglasses. Thanks for telling us about this great product! OMG! I didn't think you were going to have a giveaway! I saw these when there was only one available, checked your blog to make sure I wasn't missing anything and then bought one - but apparently you were just waiting for more to come out (which I also didn't think was going to happen, lol). The SS100CC would be great for my jewelry photos. I am a blog follower through Google reader. I have a Modahaus 216 and totally love it. I used to have problems getting non blurry pictures and never got good white backgrounds. Now my Modahaus sits next to me and I can whip it out and take a good picture. I use it for jewelry - shiny jewelry. The Steady Stand would fill in the gaps of wanting a nice overhead picture.Any size would work for me. I follow you on Facebook, Twitter and this blog. Have for quite awhile and always find something helpful. I love reading the Modehaus newsletter. The information is wonderful. I think the 200 is what I would choose, after reading your article. I am a beadweaver, and I like the options it presents. Thanks to you and Modehaus!! I've been eying the Modahaus for a while - love the results and really wish my photos were half as good! I opened an Etsy shop last year, and had to learn a lot about photography in a short time, but I'm always looking to improve my photos (http://img0.etsystatic.com/il_fullxfull.302961200.jpg). If I win the Modahaus, that's just more money I'll have for stones & Beads! Ever since I started making jewelry, taking photos has been a huge issue. I always shake, so I purchased a tripod, then getting the right light, focus, etc. to where I have given up. I blame my camera, but the truth is it is me. As far as to which Modahaus model I would like to win---as long as it helps to get better photos of my jewelry I would be happy as a lark! The SS200 would be perfect for to take pictures of my jewelry. First off, thanks for this informative article. I would love to try the SS200. I am always striving to get good pictures of my handmade sterling jewelry. Would like to know more about the background in white or clear. Oh, and I'm a blog subscriber and I follow on facebook and twitter. I'd love to win a SS200 for my jewelry! I'm also a blog subscriber and FB fan..
My photos definiitely need some help. I design, construct and embellish purses and necklaces (fiber). Many beads do not show their sparkle. Would love to improve. Thanks for this opportunityMy purses may be as large as 15" square/rectangle. Perhaps the 300 (or 200) would be most suitable. Wow...thanks for a great opportunity. Since I always take overhead shots for my jewelry, I think this would be really really helpful to me. Since I make more necklaces than earrings or rings I would prefer a SS300CC or even a SS200CC for I use my camera to take shots. I'm just getting started in the jewellery business and this giveaway would really help take better photos! I'd love the Steady Stand 200 or 300.I follow your blog and like you on Facebook. Oh, yes, yes, yes, put my name in the hat. It look like the Steady Stand 200 could really help me take better pictures of my jewelry. Thank you so much for this opportunity. Hope I win! I would use ANY of these for photographing my jewelry. I have SUCH a hard time getting good pictures! The SS100CC would work best for me but any of them would be welcome! I am your follower and also a fan on FB. I shared this on FB, twitter and google+. Also, I am a fan of Lex's on FB and subscribe to his YouTube videos. It is my dream to own at least one of his great tools! I would love to have this to add to my Modahaus that I bought a few months ago. I am a blog follower of both you and Lex. I follow you on FB. I follow Lex on FB. I am posting this on the about.com forum and will post in on FB. I think the 200 would work great for me. I would love to have the Steady Stand for my jewelry photography. It seems like it would be a great addition to the Modahaus I already use! I am a blog subscriber, a facebook fan and I follow you on twitter! Thank you Pearl and Modahaus. I would like any of them for photographing my jewelry, but if I had to choose one I guess it would be the 200. I am a blog follower and facebook fan as well. Thank you again. Great giveaway! I'd use it for photographing jewelry and jewelry supplies, so probably the 200 or the 300, which I'd also use for skeins of handpainted yarn. Thanks so much for the review! I bought the Desktop Studio a while back because of your review, and I would love to have one of these! I would use it to take pictures of my chain maille jewelry, and I think the 200 would work best for me. I am a blog subscriber and a follower on Facebook. 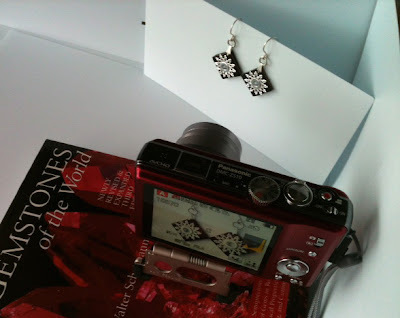 I would use the Steady Stand 200 to take pictures of my vintage style jewelry and my hand painted findings. 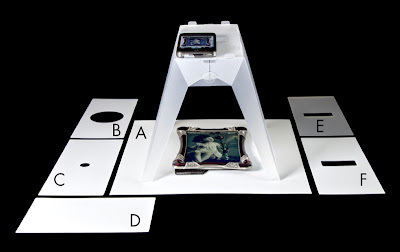 Even if I don't win, I may end up buying one anyway, bundled with the table top studio. World wide shipping for the win. I'm also a Modahaus follower on Facebook. This is an awesome giveaway. 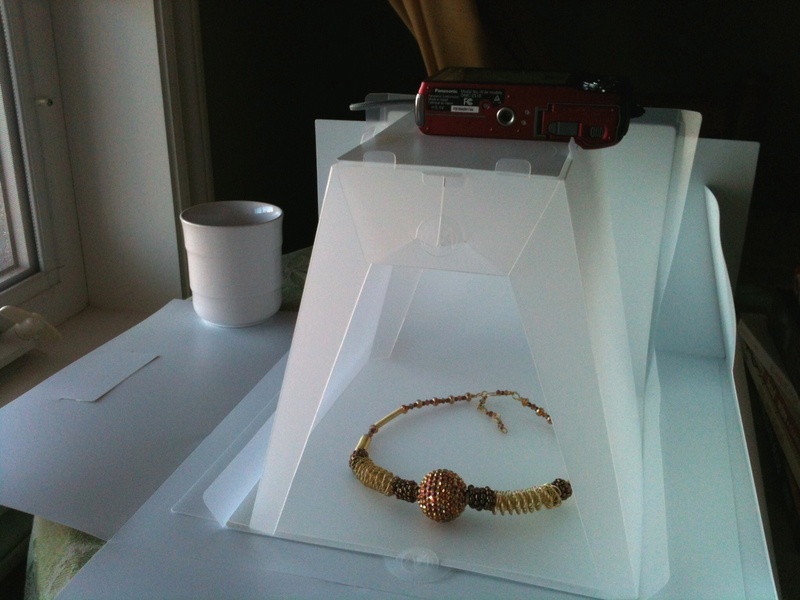 I have tried to make my own photo box to take pictures of my jewelry and bead projects. The lighting has been a challenge. but this looks like an ideal solution. I have been following this blog and have been impressed with ideas and motivation. The Modahaus solution would be just fantastic!! Yea! 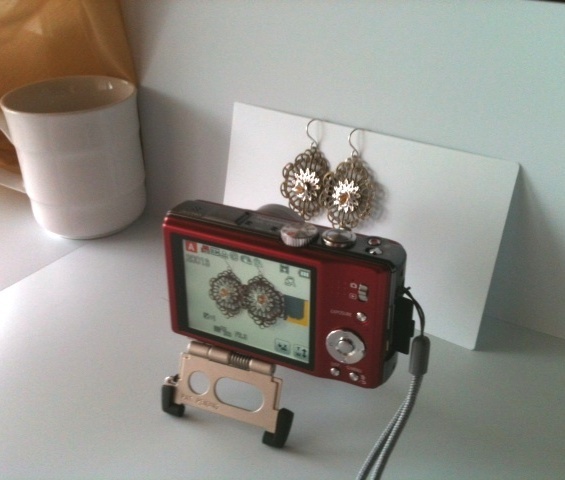 I would love to use the Steady Stand 300 to take photos of our upcycled jewelry and accessories for our website! I'm crossing my fingers! If I won the SS200, I'd be able to get great jewelry shots. Making jewelry is so much easier than photographing it, I find. The modahaus 216 is something I desperately need. Most of my jewelry photography is fuzzy and off sides as I can not hold the camera steady enough and be able to focus. The camera set up is a wonderful idea. This sounds like it could help send me on my way to finally having more of an online presence. I would love to win the Steady Stand 300, but cant find the liink on the journal. Please enter me!! Wow, this looks incredible! I would probably use the SS200 the most. This looks like an incredibly helpful gadget! I would love to win - my jewelry photos could use some improvement! I follow both you and Lex on FB. I am posting this on my blog, facebook, and Creating the Hive. I think the SS200 would work great for me, my second choice would be the SS100. Simple, clever, effective and small! Perfect for anyone with little space. 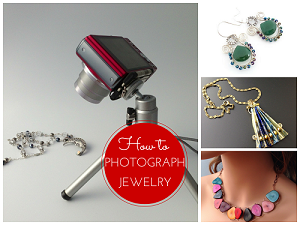 I think all my polymer clay students would love one of these for photographing their jewelry! I would love to win any of the Steady Stands. I would like the 200 if possible. I take pictures of the jewelry I make and I never get the colors right and end up taking so many different shots just to get one good one. This would be a great asset for me. BTW, I love getting your emails. They are so interesting. I've learned a lot from them. Thanks. Thanks so much for doing this, Pearl! I would so love to win this. Keeping my fingers crossed! The steady stand 300 would be awesome, but then I photograph jewelry and would be happy with one for just earrings as well, like the 100CC. Your blog is so inspirational Pearl. I'm a follower and have already directed lots of people to your blog that just shouldn't be missed by ANYONE interested in crafts. Am I going to enter several times? as I blog, FB, Tweet...you bet! I was literally just reading about the Steady Stand last night! I sent Lex a suggestion about backdrops too. I'm still getting the hang of my Modahaus Desktop Studio 216 and the Steady Stand 200 would make it a complete setup for those other angles I just can't achieve. Another great review and giveaway! I'm following both you and Modahaus on fb, twitter, and blogger/google reader, but somehow missed G+ so I'm heading over there now. I don't have time to reblog right now, but I'll sure give you some shoutouts on the social sites. I would love the SS200 for my jewelry pictures, since I'm always having issues with my picture quality(and my homemade lightbox sits uncompleted because I got frustrated when my measurements went wonky). Then again, the SS300 would also do well for my jewelry as well as my doll photos, costume props, and other items. It's oh so hard to decide! Awesome product! I make jewelry and think the 200 would be best for most of my items, but wouldn't pass up any one of them to try out. Will also look them up on line for possible purchase. Looks quite easy to get great shots, something many people have trouble with. Great blog - thanks! This is a great giveaway! I would love to win the 200 for photographing my handmade jewelry. 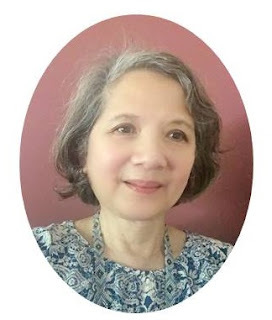 I am subscribed to your blog and also an FB fan. The Steady Stand 200 would be a great tool for me to take good photos of my bead embroidery work. You always have such wonderful devices to share with us. this is awesome! I can never get the perfect picture of my jewelry. What a great giveaway! This is perferct!! 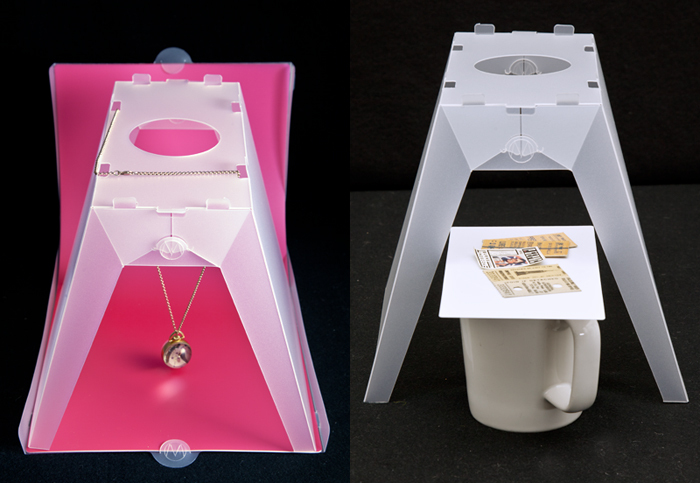 Thank you so much for another opportunity win spectacular items :) I would use the Modahaus Steady Stand SS200 to photograph my jewelry. What a wonderful product. I would use it to photograph my Healing Energy Gemstone Bracelets and Rosary Bracelets that I make, Not sure about what size I would need. Probably any size would help me, I have been struggling with photos of my jewelry since I started. Thank you for considering me as a winner. 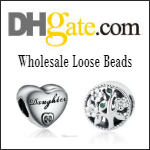 Oooh, the 200 for jewelry, of course :-). I'm a FB and Twitter follower as well. Thanks for the giveaway! Wow. 6 chances to win--what a great give-away. I looked at their website and it looks like the one you tested is the best for me! I also make jewelry and this would give me great shots. Thanks for coordinating this opportunity for all of us! I would love to win SS100CC for taking pictures of jewelry. The Modahaus 200 would be great for photos of my jewelry. With an Etsy store and various galleries I work with, it would sure make my photos better, with the added plus of not taking up room ( when folded down) in our already overcrowded studio! I would love to win the 200 Modahaus, to aid in taking pictures of our upcycled jewelry for our website! Great giveaway. I guess i would like the 300 if I win for my jewelry. I follow your blog, FB and twitter. Thanks for the chance! It's so interesting I came across this blog as I was just talking to my husband about taking pics of my jewelry. I usually take pictures next to my window but I know I can get better pictures. This Modahaus system looks very promising. I mainly make pendants, earrings and bracelets so I'm not sure which size would be best if I am lucky enough to be chosen. Thank you so much for the wonderful article! I would use the Steady Stand 200. I have such an issue trying to set up something to take pictures of the jewelery I make. I think this will be more professional and help sell! Please include me in the Steady Stand giveaway draw. I would use it for photographing my jewellery, glass beads, plants and flowers and even occasionally small objects in my local museum where I work on a voluntary basis and sometimes need to photograph things for talks or information boards. I would choose the 200 model. I would love the opportunity to win a Steady Stand! It would be perfect for my crochet accessories and photography props, especially since it would help show the stitching details! I was thinking I'd like the SS300 because of it's height, I think it would accommodate the bust I use to display hair accessories. I also became a fan of this blog on Facebook and shared this giveaway there! Thank you so much! I'm also making Jewlery with Gold Filled / Silver Sterling with Semi Prescious Stones. A good stand will be very helpful for my digital camera. These stand look so great and they even can be folded and save place! I would like to have the 200 model, that seems to be the best for my items. Wow! I hadn't heard of Modahaus until I stumbled onto your blog. I really struggle with getting pictures of our jewelry. I would love to win the SS200. Thanks for the opportunity! I am also subscribing to your blog (now that I've found it). It's a great resource. Thanks again. I'd love one of these! I would use it to take pictures of Jewelry and occasionally other things. I think the SS200 would probably suit me best. I'm also going to follow your blog. you have great tips. Great product idea. I wuld use the SS300 for my jewelry. I have many 18-22 inch necklaces that are proving to be difficult to photograph. I'm just starting out making beaded macrame jewelry so having a Steady Stand SS200 would be a wonderful way to show my work. I may be double posting so I'm sorry >.< Just didn't see my comment but I'd love the steady stand 100CC for my jewelry pieces and traditional art work. Have followed you on Facebook and subscribed! Steady Stand 300!I would most likely use it to photograph my scarves. wonderful giveaway. I would love to own the S200 I make necklaces so I think I would need the bigger size and that would allow for shooting my paper creations as well. Hi Pearl, I was trying to enter the giveaway but can not seem to get the comment to work for me. Can I enter through here?? If so I of course would be using it for jeweling and would like the 200. I LOVE my desktop and am starting to really use and figure it out!!! Thanks Pearl!" 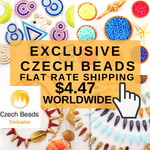 I think this is an awesome product, just what I have been looking for....I just started selling my jewelry online and the biggest challenge is the pics.....An SS200 should fit my needs perfectly!! These are great! I would need the largest- the SS300, for my spindles and fiber, and beaded handspun yarn. I get the Beading Gem's emails. What a great product! I'd love the 200, which I think would be perfect for photos of my wire jewellery creations. Also pinned on Pinterest! Fabulous giveaway! Especially since I am gearing up to start my own website, it sure would come in handy for photographing the jewelry I make. I can think of so many uses for the SS300. I am an artist as well as a legal secretary and this is a product I can see being used in each field. The ability to take a quick snap of a document and then text the picture to the attorney's smart phone would be every so handy. 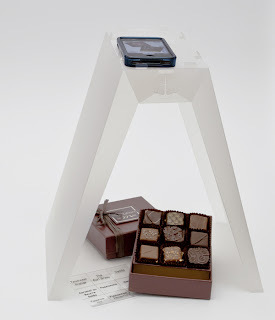 I would so much love to win the steady stand, looks fab! Thanks! 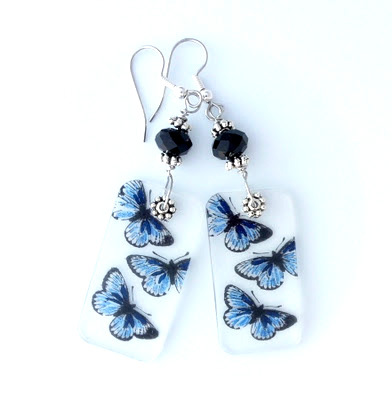 I think yours is the best jewellery blog, every time I read a post it brings me a fantastic idea, I was wondering how to create a nice style for my webpage, having that big issue photographing my jewellery. Now just in my hands you publish about these wonderful products. I love your blog! Thank you!! I would use the Steady Stand 300 to take jewelry and other craft pics, as well as shooting items for my Etsy chainmaille & jewelry supply shop. Thanks for all the great info! Wow, what a product! Wish I'd read your blog sooner!! 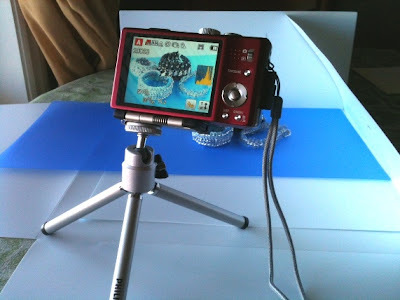 I would use the Steady Stand 300 for jewelry photos, and Ebay collectible photos! Now this would really help my pics. I would like the 200 for my jewelry. I follow your blog, on facebook, and on twitter. How did I miss commenting on this before? I would LOVE one of these! My jewelry pictures need the help in a major way! I'd have to go with the 200, I think. The steady stand 200 would be amazing to take piccys of my jewellery for my website, Thanks for the chance to win one! I'd love to have the Modahaus 200 so that I could photograph my polymer clay jewelry from above. I have quite a nice setup for taking photos using my mini tripod, but that just doesn't work for everything. Thank you for the great tips! I'd use the taller 300 to take photos of docents, and maybe some of my mall crochet and needlework projects. Thanks for the chance to win! This is pretty cool, I'm loving the simplicity. I would love to win the Steady Stand 200. I would use it to take pictures of the jewerly I do and also other crafts like crochet and cross stitch products. It can help me a lot!! thanks for the chance to win. I follow your blog and also I'm your facebook fan!! Thanks for the chance to win!! I would use it for lampwork glass bead jewelry. I would need one that would work with a Cannon Rebel T1i EOS. Pictures look great. 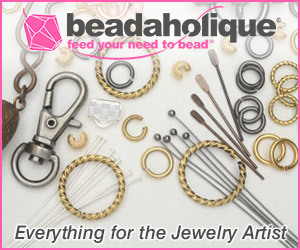 After reading this article and visiting their website, I would definitely love to own one of Modahaus's Steady Stands to use in taking pictures of my jewelry along with their table top studios. 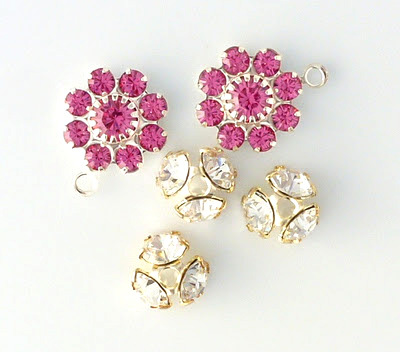 I would use the SS100SP for my rings and earrings and the SS300 for my larger pieces. However, since I must choose, I would choose the SS300. i can't believe that i found this by accident! this is an unbelievable product!!! i've been looking for something for the longest time that would help in taking pictures of my jewelry with my cell phone!